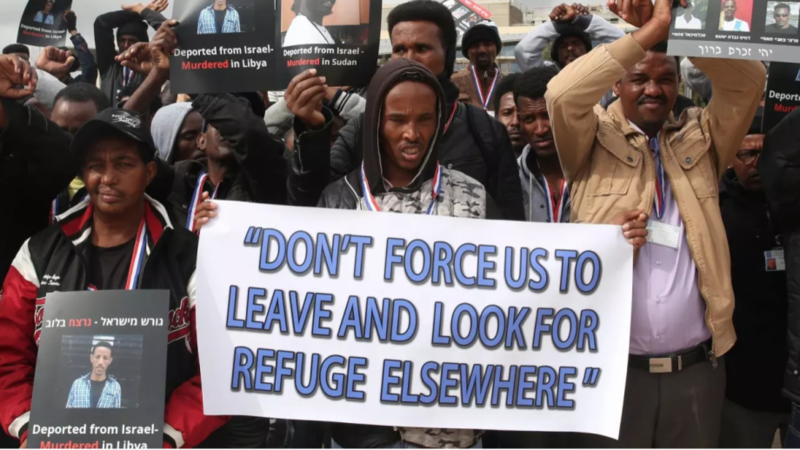 We, Olim from around the world, Israelis by choice, ask you to stop your planned deportation of 37,000 Eritrean and Sudanese asylum seekers from Israel. The signatories of this letter have chosen to make their home in Israel, having immigrated under the Law of Return. The Law of Return is completely unique to Israel. It is one of the fundamental elements of Israel, which makes it a Jewish state. But to deport refugees to places of danger will be an irreparable crack in the Jewish foundations of the state. The world is in the midst of the worst refugee crisis since World War II– since we were the people fleeing persecution and seeking asylum. It is the most inappropriate and cruel of times for us to turn our back on people who turned to us for asylum. We cannot send 37,000 people to the hell of being status-less asylum seekers in Africa. We know that Israel will not be the answer to the world’s refugee crisis, but neither can we ignore it. This is the lesson of Rabbi Tarfon who taught "It is not your responsibility to complete the task, but you are not free to desist from it either” (Pirke Avot 2:21). We reject the claim that they are a demographic threat. They make up 0.4% of the population. The only threat to the Jewish character of the state right now is the deportation of refugees. We reject the claim that they are not refugees. Being a nation of refugees and a people who carry the trauma of the worst genocide conducted in the 20th century does not give us the right to deny other people’s persecution and suffering. The genocide in Darfur is undisputable, and those who escaped it are refugees. The dictatorship and crimes against humanity being carried out by the Eritrean government against their own people are indisputable, and those who escaped from there are refugees. In 1977 Menachem Begin found himself in a scenario to proudly provide protection to a few hundred Vietnamese refugees. Forty years later we are in a similar scenario, except that Israel is far more wealthy, successful, secure and advanced country than we were then. Protecting 37,000 asylum seekers is well within our capability. We ask you to find the moral strength that Menachem Begin did, and to accept the honour of performing Pikuach Nefesh (saving a life) – the greatest of all the mitzvot. We urge you, the Government of Israel, to cancel your plans for mass deportation, and rather to implement a true, just and transparent asylum process and grant protection to those so deserving. We urge you, the Minister for Absorption and the Chairman of the Jewish Agency, as our representatives, to convey our grave concerns to the government. We ask you, Prime Minister, to adopt a policy that respects the dignity and sanctity of human life, the UN refugee convention, the history of the Jewish people and the historical legacy of the State of Israel. By signing, I authorize Tamara Newman - Olah from Australia, 2013 & Elliot Glassenberg - Oleh from the United States, 2013 to hand over my signature to those who have power on this issue.